Click on the image or the name of the person you want to add as a friend. You will go to that person’s profile page. 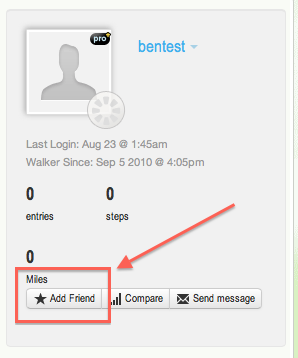 Now click “Add as Friend” button. The person will be notified that you have requested their friendship. Becoming friends on the site is more like a "follow" feature. Adding someone as your friend does not mean you are added as their friend.